There seem to be many people who believe that affiliate marketing is some “magical system” that allows you to make a lot of money online with very little effort. All the schemes that promote these “magic systems” are scams, don’t fall for their false promises. If you just found out about affiliate marketing congratulations! 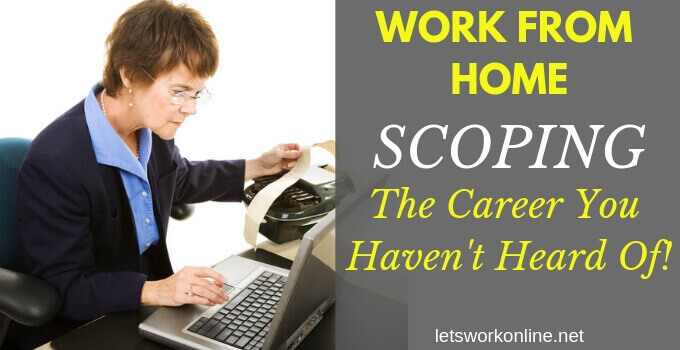 You have stumbled upon one of the legit work from home business opportunities. Most people freak out after they hear business–thinking that it is something, which will take you forever to make money. 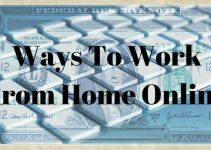 While you do need to put in some work, you can rest assured that there is lots of cash to go around. In fact, the estimated worth for the affiliate marketing industry is north of $5B Billion. But how does it all work? Sit back and find out from this guide for affiliate marketing for beginners. Are You a Merchant or an Affiliate Marketer? Where and How Do I Market the Products? First things first, as you are a beginner, I suggest you answer the following questions to see if this is something you should consider. Do you know that building an online business isn’t a get rich quick scheme, but instead, it’s about creating an income stream over a period of time? Are you willing to follow a step by step training course, over a number of weeks or months, that will show you how to set up your affiliate marketing business? Are you ready to create your own website by following the step by step instructions and a few clicks of your mouse? Will you devote as much time as possible to build your online business and never give up? Are you happy to invest some money to receive training, hosting, help and support, and all the tools you need to get started? If you answered yes to all these questions, then affiliate marketing is perfect for you. Now you have decided that this is a good business for you, let’s dig a little deeper. I walk you through the whole process of setting up an affiliate marketing business. To begin, let’s assume you’ve never heard about this term anywhere else. If, however, you’ve wondered how businesses and people are able to make good cash online, affiliate marketing is one of the most popular and easy ways to do so. The trick is that businesses, both large and small, have products and services that they wish to sell. Their goal is to sell as much as they possibly can. However, their only hindrance is that they are limited in what they can do. As a result, you can join any company, which offers an affiliate program. Affiliate marketing is a method for earning commissions for promoting someone else’s products. Receive a payment when someone buys the product. You are an intermediary between the buyer and the seller. In a nutshell affiliate marketing is all about revenue sharing. The best part about it all is that it is an excellent way to make passive income. A couple of advantages offered by affiliate marketing are, you don’t have to spend time and money creating a product and it’s quick and cheap to get started. I also do affiliate marketing on this site, however, I will only recommend products that I feel could be useful for my readers. If I am not confident in a product then I won’t recommend it. Amazon and Walmart are examples of giant businesses that offer affiliate programs, which you can sign up for today. After which, you would begin promoting their products online. However, there are several other businesses and many even smaller ones that possibly are not listed online. It’s economical. Internet marketing is cheap to get started, no cost producing a product, you don’t need employees and you don’t need work premises. All you need is a computer and an internet connection. No storage or shipping to worry about. That is handled by the seller. You don’t need to provide customer support. Again, this is handled by the seller. Your market is worldwide and you’re online 24 hours a day. You don’t need any prior experience. There are courses online that will teach you everything you need to know. You will have to put in the time and effort. The next thing you need to know is that there are two ways of approaching affiliate marketing. If you are a merchant, it means you have a product or service that you want to sell. If you have an idea for a service or a product, then once you launch the commodity, all you need to do is find affiliate marketers to promote it. On the other hand, if you feel as though creating a product or service is not your thing, maybe because of limited capital, you can become an affiliate marketer. Doing this, you will need to be the one promoting products and services. The easiest and most rewarding way to get started in affiliate marketing is by having your own website. Once you have a website you can start promoting products related to the niche (more about this later) you have chosen by writing articles or reviews. To refer people to the seller’s site, you are given a unique affiliate link. Affiliate programs may offer ready-made banners or other forms of graphics where it’s only necessary to copy the code and place it on your website. Another and better alternative is to include text links in your posts. When visitors are interested they click on these links and are redirected to the product site. If they decide to make a purchase, you as the referrer make a commission. The sellers can track your affiliate link to see your performance and you will usually have access to sales and other statistics. When you mention the product on your website or you review the product you add the affiliate link. You should only include one or two affiliate links per post. The potential customer is tracked by a cookie that is installed on his computer. The customer decides to buy something and proceeds to the checkout. Thanks to the cookie on the customer’s computer the merchant will know that it was you who referred the customer. You will receive credit for the sale. Payment of your commission for all sales generated from your affiliate link. This is usually once a month. One of the most important tasks, when you have decided to start affiliate marketing, is to choose your niche. You may be wondering what is a niche? A niche is really a group of people interested in a subject. For example, it could be people trying to stop smoking, people interested in electric gardening tools or people interested in drones. Your niche can be anything that interests others. Ideally, your niche will also be a subject that interests you. Perhaps a hobby or another passion you may have. The reason for this is you will be writing a lot of content on this subject, so if it’s something you know and enjoy this will be much easier. When you select a niche you should make it as narrow as possible. For example, gardening would be too broad, you should make it more focused. Something like growing vegetables, manual lawnmowers or ponds. By making your niche more focused there is less competition, which means it will be easier for you to make money. This will depend on whether you have chosen a niche you are familiar with or not. If it is a subject you know and you use some of the products or services, which you appreciate I would start with these. You will need to find out if there are affiliate programs attached to these products. You will need to find out if there are affiliate programs attached to these products. To do this go to the website of the product manufacturer and see if you can find a link for affiliates or referral program, this is often placed in the footer. Another way to do this, select the product you like and google it with “product + affiliate program”. If you don’t succeed the first time try again with a slight variation in the product name. You can also use this method for finding other products to promote later. You can also check to see what other bloggers in your niche are promoting. Check out the products and perhaps you can promote these as well, but only if they completely ethical. Many companies don’t offer their affiliate program directly to the affiliate marketers, they do it via an affiliate network. Accordingly, you will have to join the affiliate network, which isn’t necessarily a bad thing. They are free to join and you will have access to many products, all in the same place. Many affiliate marketers love selling digital products. These include things like e-books, e-courses, and software. Such products are quite popular because you can sell them quickly, and many have high commissions too depending on the merchant or affiliate website you are using. In addition, digital products such as software are often preferred by many because they have recurring commissions. For instance, if you have subscribed to video editing software for a month, once the subscription is renewed the next month, the affiliate marketer who sold you the software would get a recurring payment each time until the subscription is canceled. With digital products, you do not have to worry about shipping or postage fees either. The moment your buyer makes the payment, they get a link to download the product and that’s it. On top of all of this, selling more virtual products is less work compared to selling the same quantity of physical products. Given the reward involved and the ease with which you can start, it is the best way to start. An affiliate network is a go-between between the companies that have products to sell, often known as the advertisers and you the affiliate marketer, also known as the publisher. When an advertiser wants to sell more of a certain product, they may approach an affiliate network to see if they are interested in listing the product on their website. After they agree the product will be listed on their website. As an affiliate marketer, you join the network and see the product listed. After verifying it’s a good product and it fits in with your niche, you decide to promote it. Depending on the affiliate network and the advertiser, you may be able to start promoting the product immediately or sometimes you need to be accepted by the advertiser. Once you’re accepted, you can start promoting the product. Usually, you will find some banners and text links that include your unique affiliate link. You can use these banners or you can just copy your affiliate link to use in your posts. When your readers click on the link, they are taken to the advertiser’s website. If they follow through and buy the product you will be paid by the affiliate network. The affiliate network is also paid by the advertiser. Perhaps the best thing about affiliate networks is that when you join one of them, you get access to hundreds or thousands of affiliate programs all in one place. But you must always check the quality of the products. You may find some low-quality products on some affiliate networks. If you promote these you will harm your reputation. This is why it is important to only promote quality, legitimate products that will please your visitors. Some of the better-known affiliate networks are CJ Affiliate, ShareASale, Clickbank or Rakuten Affiliate Network. Once you know what you want to sell and you have already signed up for the program, you will need to know where to market the products and how to do it too. If you already have a website, then you are going to be dropping the affiliate links on your site naturally. You do not want a situation where visitors are bombarded with banners everywhere. If someone came to your website and all they see is “buy now” everywhere you can bet they won’t! If you are promoting on your website, you need to create valuable content. This builds trust and makes it easier for you to pitch or suggest a product. Writing content will be your main job as an affiliate marketer. Each time you write an awesome article you create another opportunity to include an affiliate link and to make a sale. Although you hope to produce a sale from your article the primary reason to write your post or review is to inform, educate or help your readers. Your article should provide great information that incites the reader to buy something you’re promoting. You can include affiliate links in your posts as text links, banners or images. Another point to consider is that you will also need an affiliate disclaimer, disclosing that you will make a commission if someone makes a purchase after clicking one of your links. You can read the FTC Guide on endorsements here. You also need to know how to create a resourceful email marketing campaign. As an affiliate marketer, there are many tools you need. One of your most effective modes of marketing will be email marketing. Using this technique, you will be able to create an email list and give your subscribers valuable content through the same channel. Email marketing is effective when done the right way. You will need an autoresponder (Customer Relationship Management Software) to assist you in automating everything. 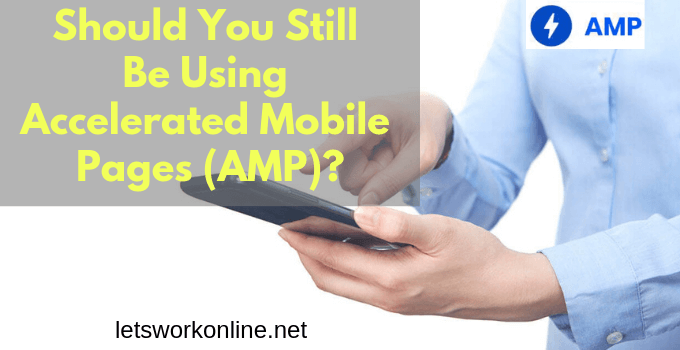 Such software will also make it easy for you to track things such as the effectiveness of your campaign, and the number of emails being opened. The power of social media is more than can be fathomed. Tools such as Facebook and Instagram give you the ability to use paid ads to reach a specific target audience. You can use video adverts or pictures too on social media. You need to make this part of your marketing strategy because it allows you to reach many people at once. When you have a website you would like to direct traffic to, this can work for you. Google AdWords allows you to do keyword research and set up strategic ads on the search page. This allows people searching for keywords in your niche to click the ads and possibly end up at your website. However, you have to pay the search engine for each click. If you are starting out, it is way better to focus on boosting organic traffic to your website. I hope you now understand what affiliate marketing is all about and can see it is good for beginners. Therefore you may want to know the best way to get started. 1. Build your website on your own. All the information you need is available for free online. This is great, the only drawback is that it will take you hours and hours of research to find what you’re looking for. Then, often you find information that is out of date or not correct. Bottom line – you may waste hours of your time implementing this outdated or incorrect information. If you have lots of time, patience, determination and don’t need to start earning in the next year or so, you will probably learn more doing things this way. However, you will be completely on your own and you will probably finish by giving up! 2. Follow an online training course. When starting a new business, it will be helpful to have some guidance to learn the correct way to set everything up. What better way than by following some step by step training from some already successful internet marketers. You will learn everything you need, from the basics of choosing your niche, setting up your website, how to write content, adding affiliate links, using the different social media platforms, pay per click advertising, email marketing and more. Another important advantage of following a course is that you will have help and support when you need it. This is the way I learned and I recommend it! The best resource, by far, that I have found for learning how to set up a successful affiliate marketing business is Wealthy Affiliate. They offer a free starter membership, that includes 10 lessons that will run you through the process of choosing your niche and setting up your first website. If you’re concerned that creating a website might be beyond your capabilities, don’t worry. Wealthy Affiliate has a site building platform, SiteRubix, which is the easiest WordPress website building program I have used. 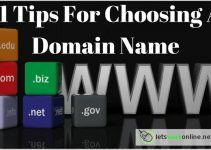 You can see how easy it is by just choosing a name for your free website in the form below. 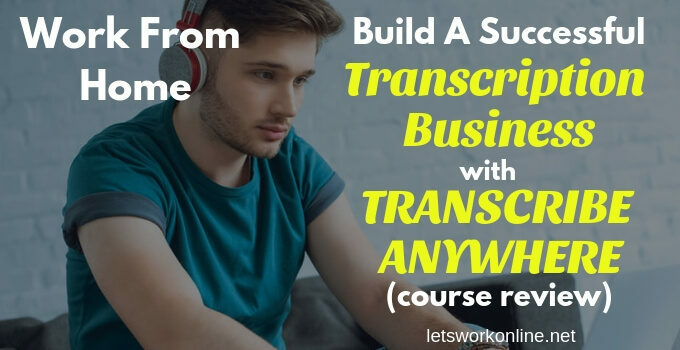 The training at Wealthy Affiliate is ideal for all levels of affiliate marketers, especially for people with little computer or website building knowledge. You learn at your own speed, following the video and text lessons which give you simple tasks to complete at each step. The Wealthy Affiliate platform has been online since 2005 and has more than 1,400,000 members from all around the world. The members come from varying backgrounds and from different age groups. However, they have one thing in common, they are learning how to become or they are already successful internet marketers. I joined as a free member, with no experience of affiliate marketing, about 4 years ago. After just 2 days I decided to upgrade to the paid membership. I now have a business that provides a regular income every month. If you follow the training, take action and don’t give up, you will also be able to have your own successful online business. After the initial free lessons, you are can decide to stay as a free member or continue your training and become a premium member. The cost of joining as a paid member is $49 per month. This includes everything you need to operate your business. For more information on this program, you can read my review. If you have any questions, comments or would simply like to share your experience as an affiliate marketer please leave your feedback below. I tried to enroll on the free training of WA but I can’t proceed because I’m a Filipino. Their “free membership” policy has become a stumbling block to many people living in some of the countries banned by WA. Can you do something about this problem? What shall I do? Can you help? I know the free membership isn’t available in certain countries, the Philippines is included in this list. Unfortunately, I can’t do anything about this. The owners decided to stop the free memberships to these countries due to repeated scams. I have been on your site for 4 hours straight this morning. I want to first thank you for putting out a service that is up to date, informative and engaging. I see that you promote WA through out your site obviously it is because you are a part of their AP I assume. Can you tell me other than WA what other Affiliate Programs you recommend for newbies? What training sites do you recommend for those that want to earn money while teaching others? So pleased you find my site useful. Yes, I promote WA as they provide good up to date training and I am part of their affiliate program. As for affiliate programs for newbies it depends what niche they choose, as you know there is probably an affiliate program for most products. It may be easier if they start with affiliate networks like Clickbank, CJ Affiliate, ShareASale or Amazon Associates. 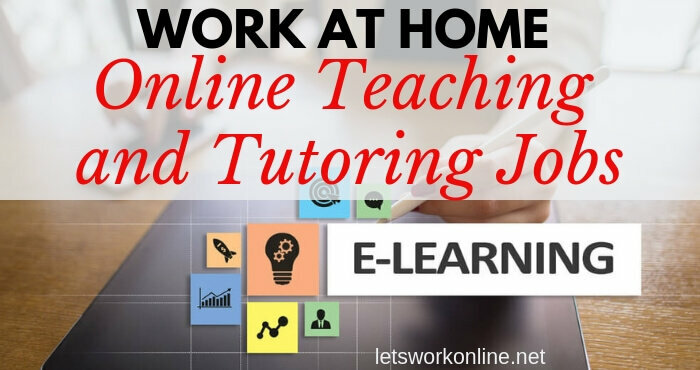 Earning money teaching others – if you have a skill you want to teach others but haven’t an audience you can create a course and publish it on a course marketplace like Udemy. To learn how to make a course the blog at Teachable.com has many course creation tips. I hope that was what you meant, if not let me know. Thanks Peter for your review, your reviews is a wealthy information. but I have two questions which are very important to me, how many months I have to pay the fees to WA? and actually, I don’t ask about “when will I get paid?” But I really want to ask you if it’s possible to start to earning after like 5 months? You can pay monthly fees at WA as long as you like. You are free to leave at any time. If you host your site at Wealthy Affiliate you will have 30 days after your membership expires to transfer your website to another host. It’s impossible to say when you will start earning money. Some people manage to earn after a couple of months and others after a couple of years. It depends on your niche, how much time you have, whether you’re a good writer and if you take action after following the training. If you have any other questions Kamel let me know. yes, i have one more question, I’m from Egypt so English is not my mother tongue language, is that a big problem for me which will affect the writing? It might affect your writing a little but I know many people at Wealthy Affiliate from non-English speaking countries. They manage to write and create successful businesses even if their English isn’t 100% correct. As you will be writing often you will improve over time. There are also extensions to the browsers you can use, which help with punctuation and spelling. I have Grammarly, a free extension, installed on my browser. 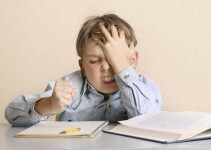 If you are worried about mistakes when you start out, I could even check and correct your first few articles. Hope that helps and feel free to contact me if you need any other info. hi Peter, i am interested in amazon affiliate. But i am from malaysia. Is the blog i created will only get traffic fro Malaysian/ Asian? I am little knowleadge about blog. As i know Asian people seldom buy things through Amazon due to the currency converted is not worth buying and also expensive shipment fee. Normally they will buy through alibaba or taobao, or other local online store. Any site you create is available to all countries. I live in France but you have seen my site in Malaysia and most of my visitors come from the US. If you join Wealthy Affiliate you will learn all about starting a blog, everything is explained in easy to follow step by step training. If I can be of any further help please let me know. i am really impressed, really its good opportunities for the beginners. i from India, have there member from India of Affiliate marketing? Yes, I think affiliate marketing is a great way to earn money online and yes there are many affiliate marketers and members of Wealthy Affiliate from India. If you’re undecided you could try the free trial, you get the first 10 lessons and 2 websites. This will show you how to get started and how to use WordPress but to be successful you really need to become a premium member. 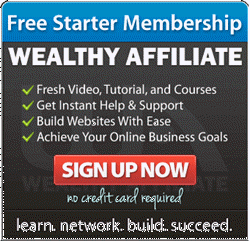 Through wealthy affiliate when our site starts earning. How much it can takes time to start earning. Unfortunately, it’s impossible to say how long it will take before you can start earning money with a site you build after following the training at Wealthy Affiliate. This depends on many things: the niche you choose, how much time you spend working on your site, your skills in writing content and whether you follow the training and implement all the recommendations. That said some people start making money after just a couple of months but a more realistic time span would be 6 months to a year. I would say if you never give up you will end up making money. Completely Agree with you peter. Affiliate marketing is one of the best way to earn good money but blogger should take cares of niche. Beginners needs to understand that niche is very important in affiliate marketing. Yes, affiliate marketing is a really great way to earn money online and it is important to choose the right niche. Although, if after a while you feel you have made a mistake you can always start another website in another niche. You will have wasted your time but at least it won’t have cost you much, probably a domain name and a few months hosting. I think the most important thing beginners need to realize is that affiliate marketing is a lot of work and it will probably take a few months before you see any sales. However, once those commissions start coming in it makes all the hard work worthwhile. I know what you mean, when you start you want to get your website up and you think you will get traffic. However, it’s not as easy as that, it takes a lot of work and probably a few months before you get your first sale. There are a few different training programs that can help and it seems like you’ve tried a few of them. I see that you are recommending affilorama which is a very good program and one of the few I recommend. But my #1 recommended program is Wealthy Affiliate. It costs $20 less per month and you can host up to 25 premium sites + 25 free sites and the support is better. Thanks for your comment and good luck with your business. How do we know that you can be trusted Peter? A good question! You don’t know if I can be trusted, the same goes for all other website owners. All I can say is I only recommend programs I have tried and in the two of years I have been running this site there are very few programs I would recommend. But I am here to make money and with my #1 recommendation, Wealthy Affiliate, I receive a commission if you become a paying member after clicking on my link. Alternatively, you could go to another site and sign up under someone else. This isn’t a problem because the most important thing is that you find a program that suits you and this is the best I have found. Another great point is that they offer a free trial, so you can check it out risk-free. You are right to be cautious because there are many unscrupulous site owners who recommend anything just to make some money. Great post and I think affiliate marketing is best for most beginners to get started with for a couple reasons that you pointed out, low cost and low risk. It’s really limited only to your creativity and willing to learn and put forth a decent effort. There’s not many businesses that can be started with little capital and that’s what makes affiliate marketing really special in this day and age. If you’ve got the time and desire, anyone can make an affiliate marketing business for themselves. I would agree that everyone needs to start with a baseline level of education and your recommendation, Wealthy Affiliate, is an excellent resource to learn how to accomplish this. That’s where I got my start and now I making really good money every day from my affiliate commissions. I love waking up and looking at my sales number from the night before. That’s the other cool thing, once you put in the initial work, that work can pay for itself 10 fold in the future. Being able to start with a small outlay is really a big advantage. After that it’s really down to you if you succeed or not. If you put in the effort and never give up, you will create a business that will earn money. I feel that as a beginner choosing a good training program is very important, I’m sure I wouldn’t have been successful if it wasn’t for the training at WA. Glad to hear you’re making some good money from affiliate marketing Todd, but I know you have put in a lot of work. I wish you ever increasing success with your business. Hi, Peter. I truly enjoyed your introduction to affiliate marketing for beginner. Definitely, being able to earn money passively sounds very lucrative and easy. Btw, do you have any experience with the affiliate network that you share? Mainly Commision Junction and Rakuten? Are they solely on e-book or they also sell physical stuff? I’m glad you enjoyed my post on getting started with affiliate marketing. Earning a passive income is great and starting your own business isn’t too hard, however, it is a lot of work. People shouldn’t be put off, thinking building a site or SEO is difficult. With a training program like Wealthy Affiliate the step by step training really does make everything very easy. The only affiliate networks that I have experience with are Clickbank and ShareASale. Clickbank sells digital products and ShareASale sell both digital and physical goods. hey. i just wanted to take a moment to thank you for the information. i have been searching for a way to make money online that inst a scam or waste of time i think i have found it. i joined wa after viewing you’re page. im loving it. have you made much money? Affiliate marketing isn’t a scam or a waste of time, it’s completely legitimate. So glad you’re enjoying Wealthy Affiliate, it really is an outstanding training platform. If you continue working you will end up with a successful business. Unfortunately, many people make the mistake a quitting too soon, don’t be one of them. I wouldn’t say I’ve made a lot of money yet, but I am receiving a steady monthly income, which is slowly increasing. Thanks for your visit and good luck with your online business. I really enjoyed reading your post on affiliate marketing for beginners. I too am an affilaite ot WA and honestly believe that it is the absolute best choice for anyone wishing to learn how to earn an income online. 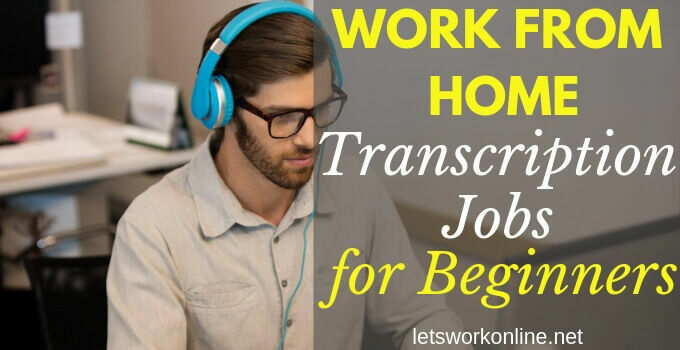 Your review is very thorough and all the detailed information is sure to interest anyone who is seriously looking for a legit program to join. So glad you enjoyed my post Victoria. Affiliate marketing is great for newbies with very little start up costs and you can work when you have the time. Joining a training course like Wealthy Affiliate will certainly reduce the time it takes you to make your first sale, so although there is a cost, this could well be the difference between success and failure.